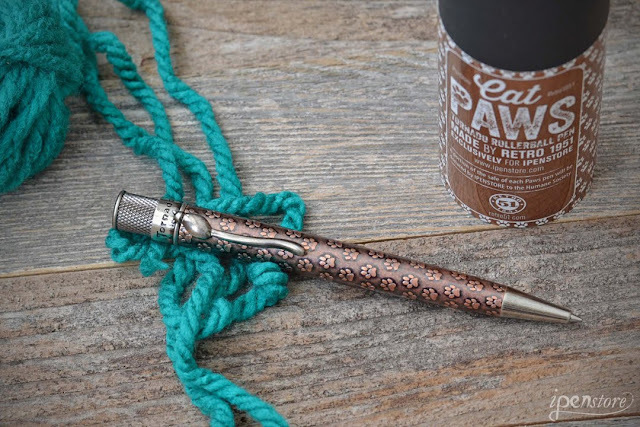 Retro 51 Cat Paws Rollerball Pen in Copper Made Exclusively for iPenstore! 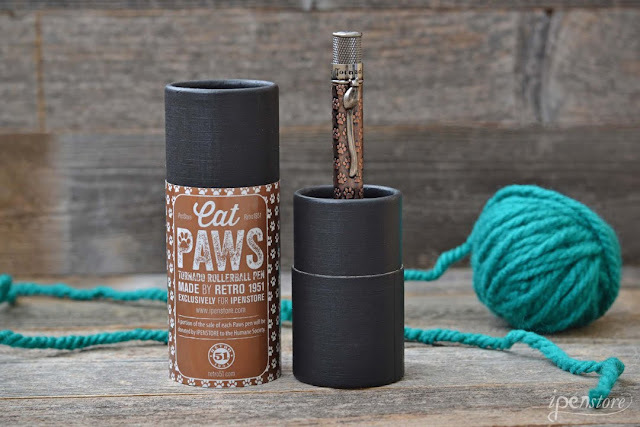 Based on the spectacular results of the Retro 51 Tornado Dog Paws rollerball and fountain pen collection, we again collaborated with Retro 51 to produce a new pen for cat lovers. 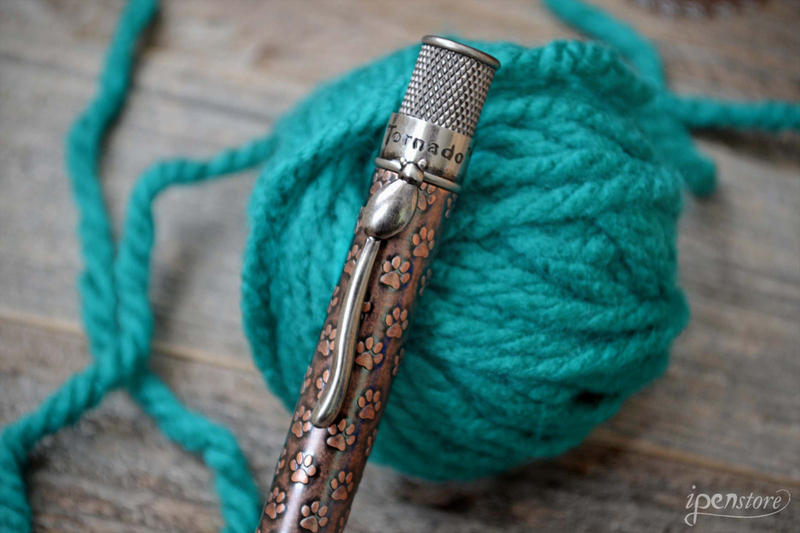 We are excited to introduce the new Retro 51 Tornado Cat Paws Rollerball Pen in a copper finish created exclusively for iPenstore! Retro 51 has a history of producing top quality, highly collectible pens. 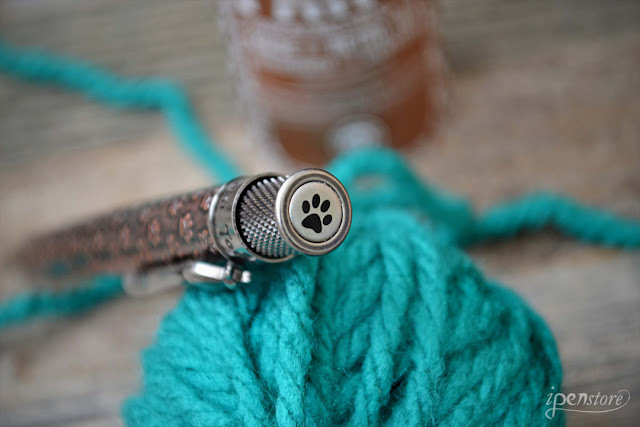 The Cat Paws Tornado rollerball pen is made with a brass barrel and finished in antique stonewashed copper. Cat paw prints are acid-etched into the barrel, and best of all, the custom-designed clip is in the shape of a cat! To complete the design, a paw print has been added to the top of the cap. The pen is fitted with a smooth flowing rollerball refill that is retracted with its patented knurl twist-top. Replace the rollerball with any readily available Parker-style ballpoint refill and your Tornado is now a ballpoint pen. We have the Schmidt P8126 capless rollerball refill and a wide assortment of Parker-style ballpoint refills for this pen in our store. The pen comes gift packed in the iconic Retro 51 tube packaging. As with our Dog Paws pens, we will continue to donate 5% of the total funding collected from the sales of the Cat Paws pens to our local Humane Society. So what do you think about the new Retro 51 Tornado Cat Paws rollerball pen? Tell us in the comments below!